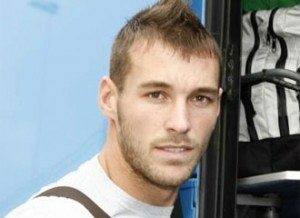 The Premier League require all EPL clubs to name a 25 man squad eligible to play this season, Newcastle could only manage to name 22 and that included Xisco! Each side contains no more than 17 players who do not fulfil the home grown player criteria, while rules state the remainder of the party must be home grown, this does not include under-21 players. Taking out the three goalkeepers and our Spanish ‘striker’, then deduct the injured Tiote, Shola and Perch, for the Villa match we had 15 available senior outfield players. Plus if I’m honest, out of those fifteen that were available I would very much not like to see Williamson, Obertan or Gosling starting matches – unless they show something they haven’t as yet. So maybe no surprise then that even though Newcastle were at anything but their best, Alan Pardew didn’t make any tactical substitutions, only the enforced Bigirimana one due to Simpson’s injury and a couple of token ones in the closing minutes. How on earth anybody can kid themselves that this squad is strong enough, especially Mike Ashley and Alan Pardew.